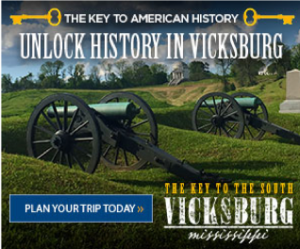 In 2018 Advance Travel & Tourism partnered with long time client Visit Vicksburg to increase traveler consideration for the area. 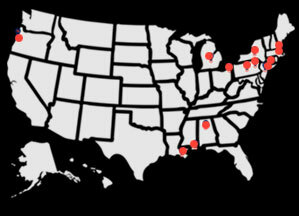 The following campaign was deployed throughout the 12 months of the year. 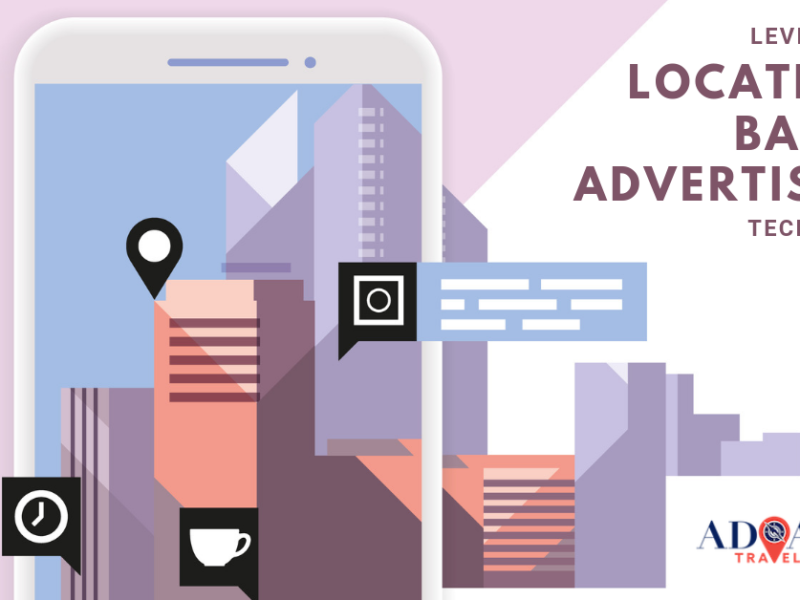 In addition to standard digital display, The Advance Travel & Tourism team deployed a behaviorally-targeted geofence campaign with the main goal of increasing reach among travelers in new markets: Atlanta, Houston, Dallas, Memphis, Nashville and New Orleans. 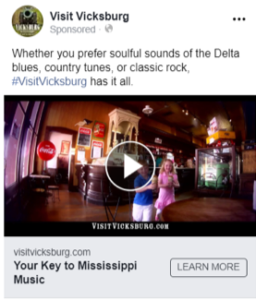 To support the objective of increasing brand awareness in key markets, Youtube’s Trueview ad platform was used to visually present Visit Vicksburg’s message to potential visitors. 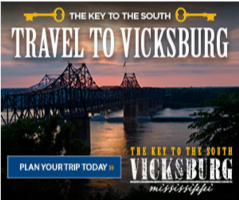 SEO was deployed using a strategic approach based upon the most up-to-date information about how Google, Bing, and Yahoo rank websites for relevant searches in order to ensure that Visit Vicksburg’s site shows up high in organic search queries related to Vicksburg travel. 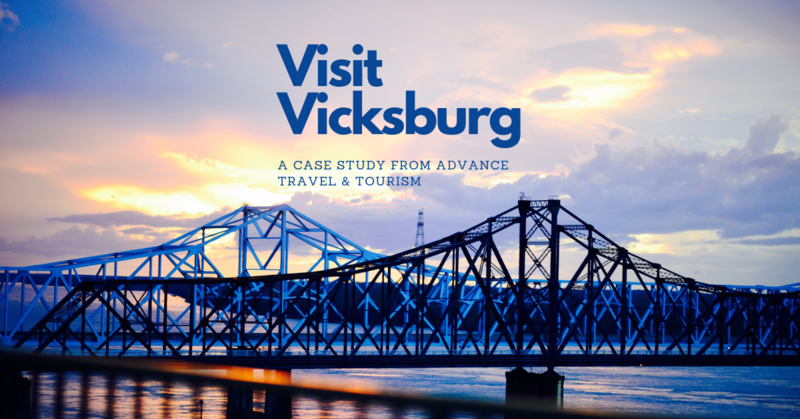 Utilizing Google’s sophisticated data, Advance Travel & Tourism implemented SEM to stay competitive and top of mind when users search for travel questions related to Vicksburg, MS and southern road trips. 5 email newsletters were sent to Visit Vicksburg’s stakeholders and prospects. 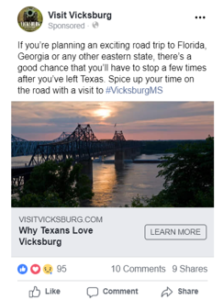 Since social media channels are a platform where travelers share their experiences and show support for destinations they enjoy, the campaign utilized paid social to engage with travelers and build Visit Vickburg’s referral base. 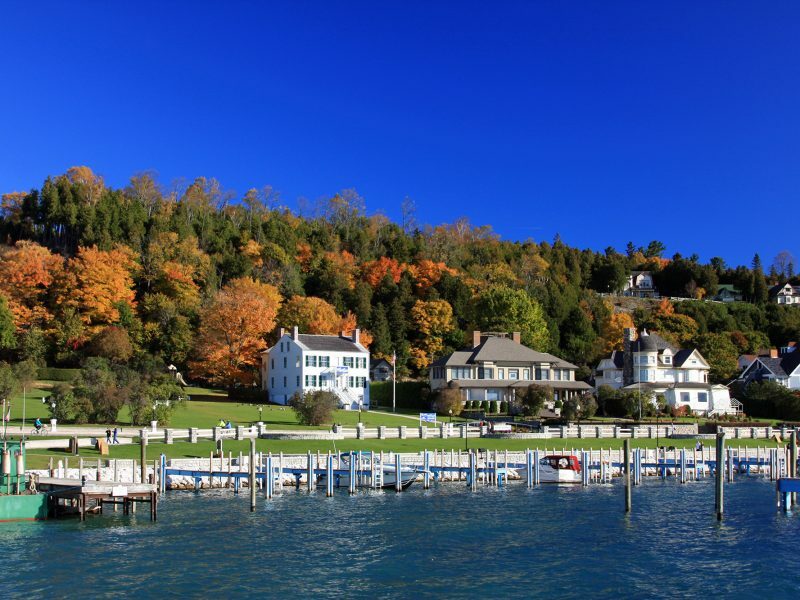 Advance Travel & Tourism managed Visit Vickburg’s Facebook ad account with the goal to grow and engage their audience at the lowest costs possible. Visit Vicksburg reported a record-breaking year in 2018, welcoming over 2 million visitors (20% increase YOY). 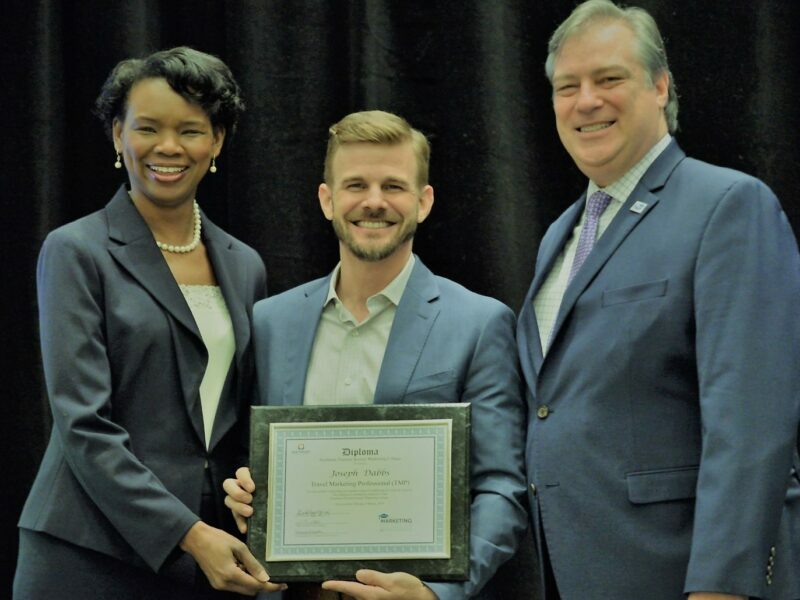 While we can not take credit for all of this, we can say that we certainly helped influence travel consideration for Vicksburg, MS based on our measurable data points.